A few months ago, I had the routine 12,000 mile maintenance done on my Ducati, part of which was replacing the sprockets and chain. 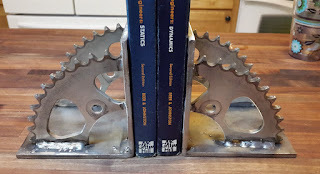 I held onto them for some projects, and since I lack the proper tools, I hauled the sprocket out to Minnesota for our summer trip to complete one -- a set of bookends -- with Dad. 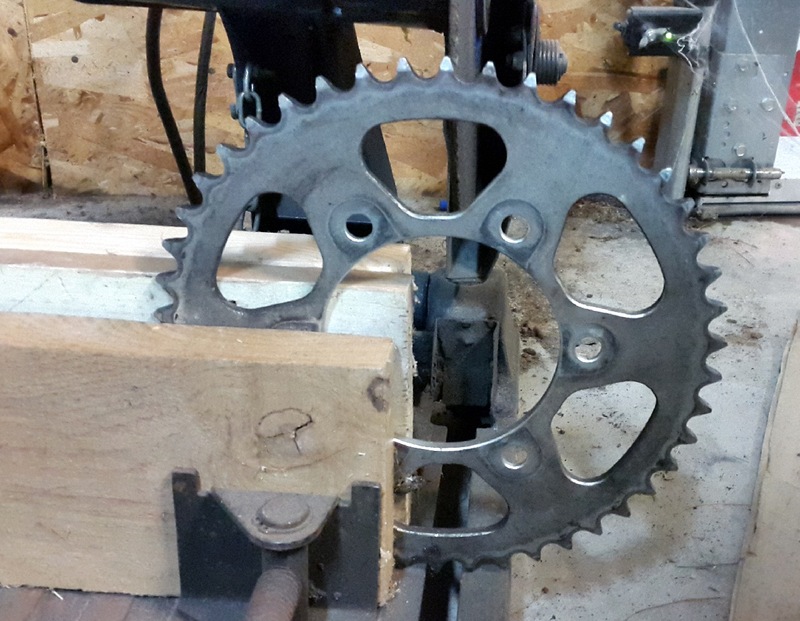 The first step was to quarter out the sprocket using Dad's chop saw. I eyeballed the cuts, so the pieces weren't quite equal. 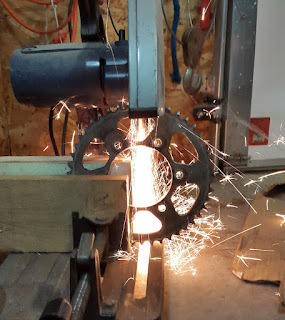 After a little bit of grinding, they were about the right size. So I cleaned them up with some gas and soapy water. Many thousands of miles built up a bit of grime on this thing, but a couple minutes of elbow grease made quick work of it. 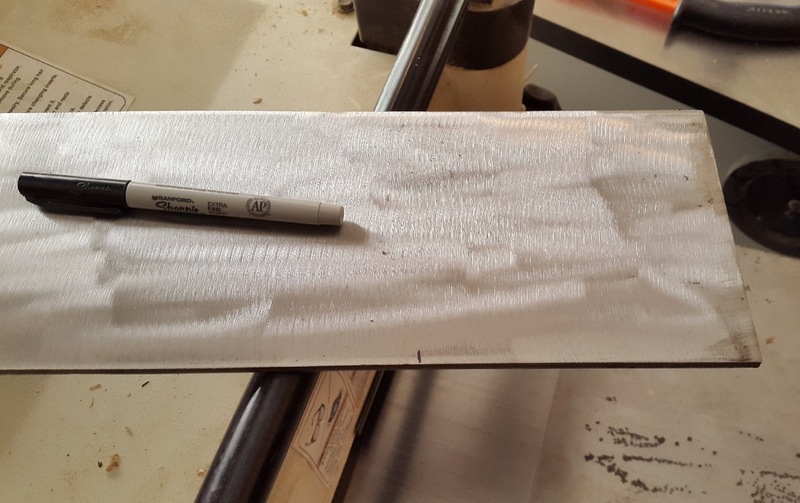 Dad always has a bit of scrap metal laying around, so I snagged a piece of 0.25" plate. 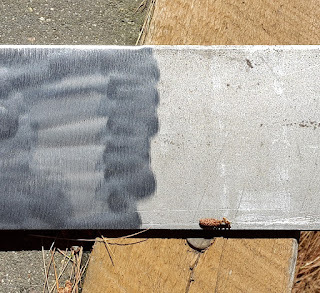 Above, you can see the rust that's shown up. Below, it's halfway ground down. The grinding, having been completed here, leaves the piece ready to section off. 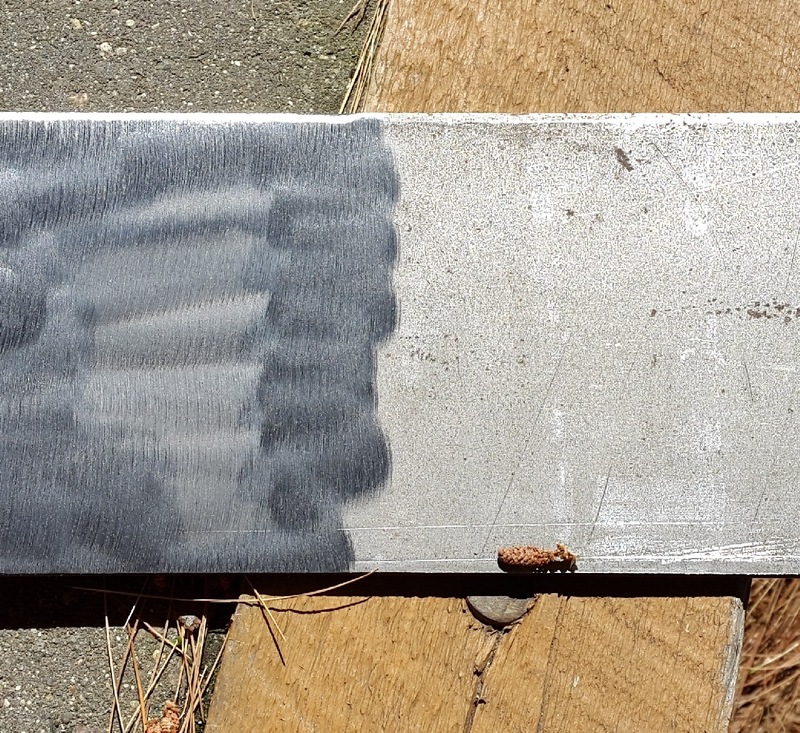 I cut the steel plate into 5.25" sections and smoothed off the edges to be ready for welding. 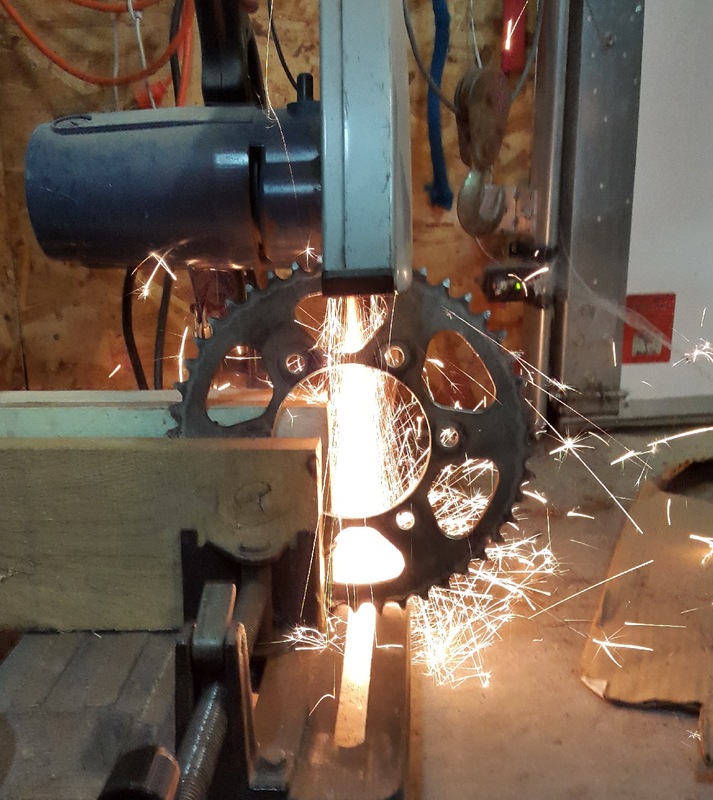 Having done very little welding myself and being probably six or seven years out of practice, I enlisted Dad to refresh my memory. 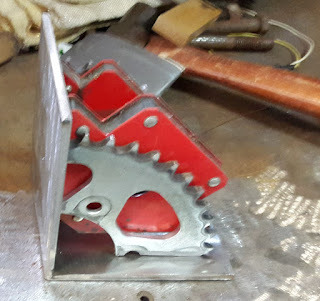 He tacked a couple of the pieces together and gave me some advice, at which point I took it from there, joining two pieces of steel then adding two sprocket quarters. Here, the plate is tacked together, so I put the sprockets in-place. 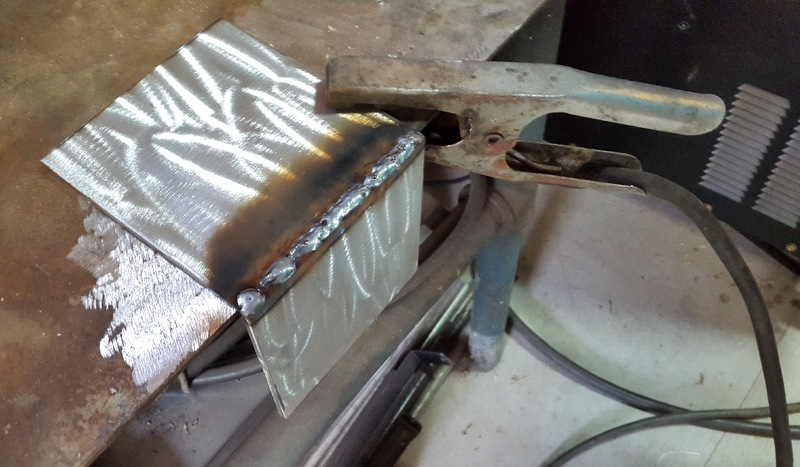 After the four pieces are solid, I completed the welds, scraped and ground away the slag, cleaned all the rough sections off, and let the result cool off. 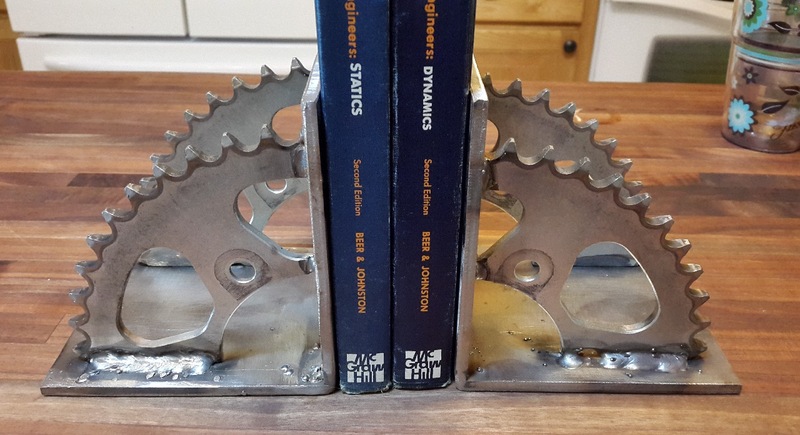 I had originally planned on making two sets of bookends, but in designing this (and in no small part due to Dad's suggestion), I decided to make a single, larger pair. These things are solid and quite heavy, leaving me with no doubt that they'll stay in-place when we get them back home. It's just a question of whether I want to huck these into our checked bag on the return flight. There's a lot of slag leftover that I can't remove easily. And by no means are these particularly good welds or a great overall design. However, I'm happy with the results.